While some anti-theft devices and methods may cost more than you’d like to spend, all of them are less expensive than having to replace a car completely. We’ve rounded up our top tips and products to help prevent your vehicle from being stolen and save you money in the long run. Locking your car is the simplest way to protect it, yet people forget to do it every day. 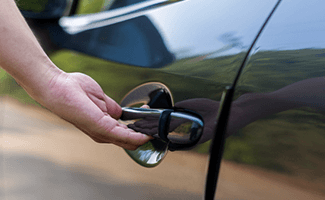 Make sure you lock your car whether it’s parked at home, at the grocery store, or in long-term parking at the airport. While it won’t stop a determined car thief, it will certainly prevent an opportunistic burglar from stealing anything valuable in it. Keep all the windows rolled up and don’t ever leave your car running with the keys in the ignition or store a spare key anywhere in the car. Whenever possible, park your car in well-lit areas or near a security camera if you’re in a parking garage or other facility. Avoid dark or remote locations where no one would be able to see or hear your car being broken into. At home, consider installing a visible outdoor security camera so you can monitor who is around your home and to deter would-be thieves. Installing an additional locking device such as a wheel lock, pedal lock, or steering wheel lock makes it extremely difficult for a thief to drive off with your car. Plus, just seeing the locks will deter many thieves from making an attempt. These types of devices are not terribly expensive and will last a long time, but they also require you to put them on and take them off each time you use your car. The disadvantage is that over time, you may become less vigilant about using them. You could also use a hood lock, which prevents the hood of the car from being opened without a key. While this won’t stop anyone from stealing the car, it can deter thieves from scrapping your engine for parts. 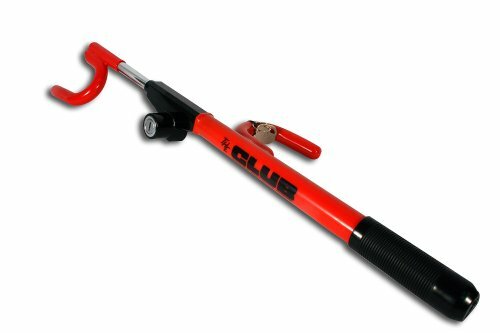 At under $50, the Club steering wheel lock is one of the least expensive anti-theft devices we recommend. The Club has been around for decades, and it’s still one of the best choices for a highly visible and secure lock. While a key is required to remove the lock, you don’t need a key to install the lock, so installation is easier and faster. The Club works by locking the steering wheel in place, making it impossible to turn or steer, and it’s made with durable strong materials that are resistant (though not impervious) to cutting, sawing, hammering, and other disabling methods. A wheel or tire lock (also known as a boot) fits around your vehicle’s wheel and locks in place, making the car impossible to move. 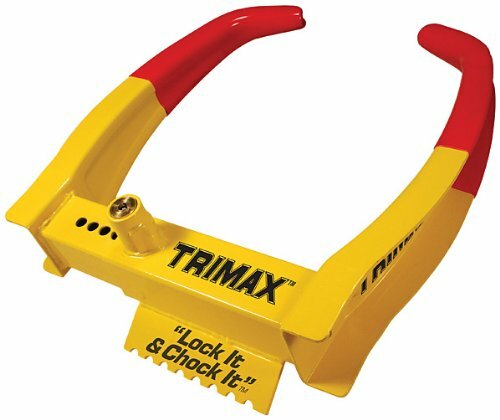 Like a steering wheel lock, the Trimax unlocks with a key and comes with three spare keys. The Trimax fits most tire sizes but also comes in a larger size for extra-large tires (view on Amazon here). To top it off, it has a bright yellow and red finish for high visibility. The Trimax is slightly more expensive than the other locks on our list, and it may not be a practical tool to use every single time you drive your car. However, if your car is going to be left in one spot for an extended time, this is a great device to deter thieves. Break locks, or pedal locks, fit around the pedals of your car, making it impossible to use the pedal until the lock is taken off. We especially liked The Club CL606 Brake Lock because it attaches to the steering wheel and the brake, making it difficult to steer the car or use the brake. 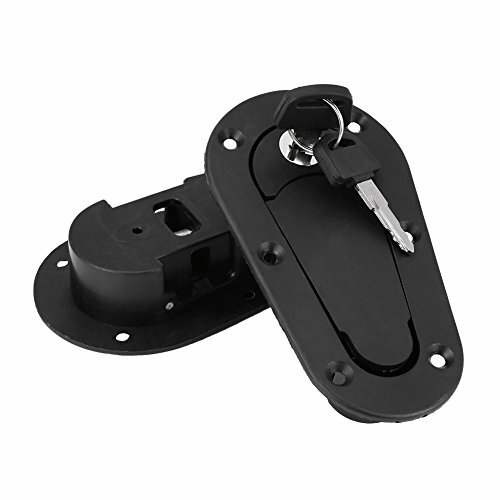 It also locks easily with one pull, so you don’t need your key for installation. It fits most vehicles and brake pedals up to 9/16 of an inch wide, but be sure to double check before purchasing. A hood lock protects your car’s engine from being picked apart or sold piece by piece, though it won’t do much against car theft itself. Most car locks open with a key, like the Estink Hood Lock. Many hood locks are designed specifically for one make of car, so make sure you check that before you buy, or get a universal lock like the Estink. Another great line of defense against theft is preventing the car from turning on. One way to accomplish this is by installing a kill switch. 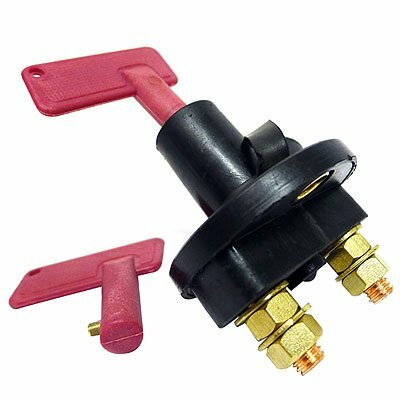 This kind of device is professionally installed in the vehicle and interrupts one of the key systems in the car, such as the electrical, ignition, or fuel system. The kill switch can be disabled with a key, code, or even just a switch—otherwise, the car won’t start. You could also go with an electronic immobilizer, which prevents the car from starting without receiving an RFID signal from the key or some kind of key fob. The signal has to be close to be received, so you generally have to be next to or inside the car for it to work. This is not foolproof protection against car theft, as a prepared thief will be able to bypass the system, but it can help. Many newer vehicles already have immobilizers built in, but if you have an older car, you can have an immobilizer installed. You may have heard of Ravelco or even seen a car with a Ravelco decal in the window. The Ravelco system is installed under your car’s dashboard and prevents the car from turning on without a specialized plug that attaches to your keychain when not in use. Because it is a professional service, Ravelco it is quite expensive—starting at $500 or more. It’s also not available in all 50 states. However, if you want to feel really confident in the quality and reliability of the kill switch, this is great option. Like the Ravelco, the Cal Hawk Kill Switch prevents the car from turning on without a specialized key in place. The Cal Hawk specifically cuts off power to the battery so the car can’t start without the key. The switch itself is inexpensive, although additional wires and components may be required. We strongly recommend having a professional install it unless you are experienced with the system. Available for about $100, the iBlue Immobilizer takes the concept of an electronic immobilizer and makes it smart. 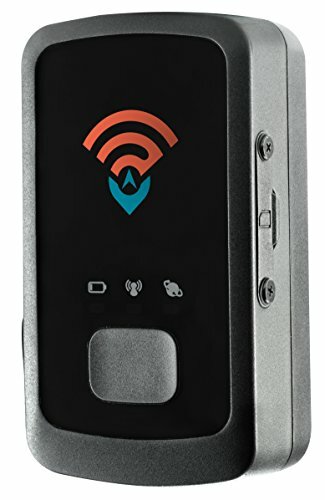 The iBlue connects to your smartphone via Bluetooth instead of a typical RFID signal. From the iBlue app (for iOS and Android), you can start the car or view a history of where your car has been and how many miles it traveled, among other things. The drawback, of course, is that you have to have your phone with you and charged in order to drive your car. However, if an electronic immobilizer is what you want, this is a great high-tech, reliable system. Unfortunately, in spite of the best precautions and anti-theft devices, an experienced car thief may still find a way to steal your car. If the worst happens, your best bet at recovering the vehicle is to have an electronic tracking system installed so you can find it, no matter who has it. This is one of the more expensive options, but most tracking systems have high recovery rates, and our recommended system works with many police systems as well. You’ve probably heard of LoJack, even if you don’t know exactly what it is. With a LoJack system, you can track your car almost anywhere using a specific radio frequency. The LoJack system integrates with police systems, so you have a greater chance of finding your car quickly. Admittedly, the LoJack system is fairly expensive (costing several hundred dollars or more, depending on the dealer), but there are no additional monthly fees or subscriptions. While having a LoJack system won’t prevent your car from being stolen, it ensures that you will be able to recover it quickly. If you want a less expensive tracking option, consider the Spy Tec GL300 GPS Tracker. The small tracking device can be placed in an unobtrusive location in the vehicle to let you track the car from anywhere. It also has geofencing options, so you can set a perimeter and receive a text or email if the car crosses that boundary. It is much less expensive than the professional LoJack system, but there is a $25 monthly fee for the service. Although it seems like it only happens to other people, having a car stolen is something that could happen to anyone. Be smart about where you leave your car, get an outdoor security camera to have eyes on it at all times, and add one or more anti-theft devices to prevent your car from being taken or to recover it if the worst should happen. Do you use an anti-theft device? Tell us about your experiences in the comments.